Premier location, tastefully updated interior, & huge panoramic views of Lake Freeman from this spacious home setting on nearly an acre. A beautiful lot with mature trees, incredible views, & 118 ft of lake front that includes a double permanent covered boat lift with 2 swim decks. An impressive interior offers an open floor plan, large great room with vaulted ceilings & floor to ceiling windows, main level master suite, 2 fireplaces, newer kitchen with breakfast bar, crown molding & arched doorways, & more! A total of 3/4 bedrooms, 3 bathrooms, & 4000 plus sqft. A new concrete patio with a fire pit lakeside is ideal for relaxation or entertaining. Storage is no issue with the attached 2 car garage (24x24) with attic storage above & the newer 12x12 storage shed. 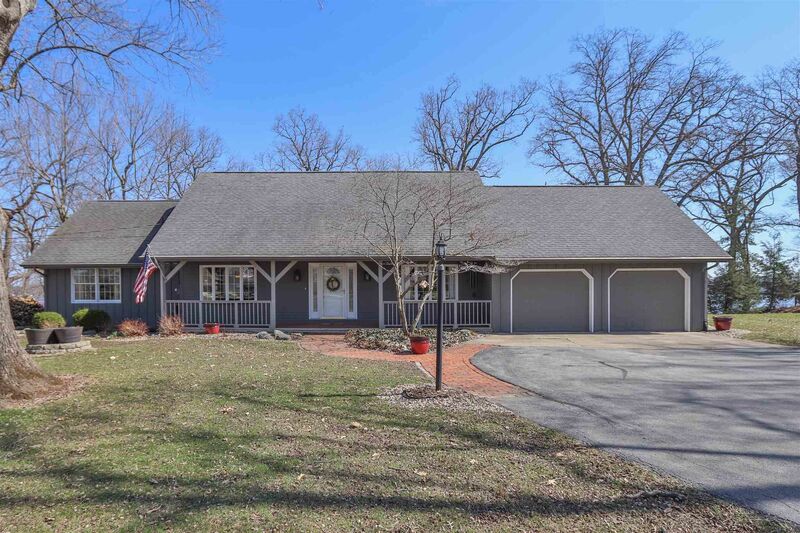 Location, location, location and a beautiful house is the recipe for a great lake home! Look now before it's to late!